S7-300 there are many different types of CPU, suitable for different levels of control. CPU module is integrated with the digital I/O, and integrated digital I/O and analog I/O. CPU component is packaged in a sturdy and compact plastic enclosure, Panel on the status and error indicator LED, mode selection switch and communication interfaces. Micro memory card slot you can insert up to several megabytes of FEPROM micro memory card (MMC), after loss of program and data preservation. Some CPU, only one MPI interface. CPU in RUN mode RUN LED lit; 2Hz frequency during boot shining; HOLD State with 0.5Hz frequency lights. When CPU is STOP, HOLD or restart STOP LED Permanent; request a memory reset to 0. 5Hz frequency blinking are the memory reset to 2Hz frequency lights. 1) STOP (stop) mode: the mode selector switch is in the STOP position, automatically enters STOP mode after power on the CPU module, which does not execute user program can receive global data and checking the system. 2) RUN (run) mode: execute user programs, refresh the input and output, handling interrupts and faults information services. 3) HOLD mode: start and RUN mode when debugging with breakpoints, the user program execution is suspended (paused), the timer is frozen. 4) STARTUP (boot) model: you can use the mode selector switch or STEP 7 start the CPU. If the mode select switch is in the RUN position, power on automatically when entering the start mode. 5) old CPU key to switch to select the operation mode, it also has a RUN-P mode, allows to read and modify the program at runtime. Simulation software simulation of the PLCSIM CPU RUN-P mode, certain monitoring functions can only be carried out in RUN-P mode. 1) RUN (run): CPU execute user programs. 2) STOP (stop): CPU not execute user programs. 3) MRES (memory reset): MRES position cannot be maintained in this position when you let go the switch will automatically return to the STOP position. From the STOP position to pull the mode selection switch into the MRES position, can reset the memory, the CPU back to the initial state. Working memory and S7-400 of RAM loaded in memory user program and address area is cleared, all memory, timers, counters and data block is reset to zero, including the data hold function. CPU hardware, initializing the hardware and system parameters, system parameters, CPU and is restored to the default settings of the parameters of the module, MPI (multi point interface) parameter is reserved. CPU inside the MMC after the reset of the user programs and system parameters are copied to the storage area. 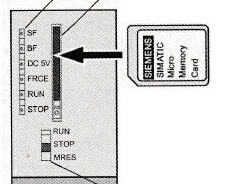 Reset memory operations in the following order: PLC power from the STOP position to pull the mode selection switch into the MRES position, STOP LED extinguished 1s, 1s, went out again after 1s remain on. Release the switch and make it return to the STOP position. 3S to pull to the MRES position, STOP the frequency flashing at least 3s LED 2Hz, said it is a reset, finally STOP LED on, reset the end, you can release the mode selector switch. All CPU modules have a MPI (multi point interface) communication interfaces, some CPU module with PROFIBUS-DP interface or a point to point interface, model PN CPU modules in an industrial Ethernet PROFINET interfaces. 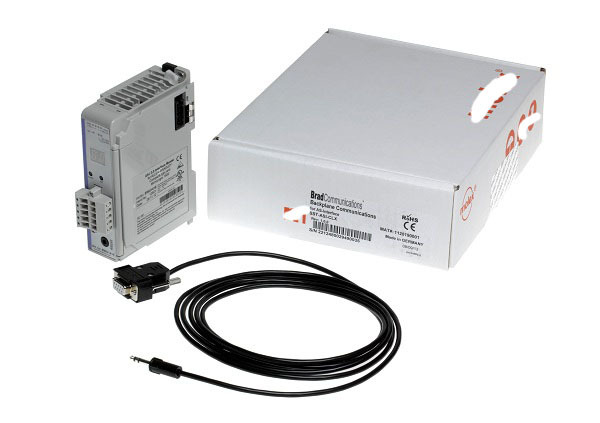 MPI interface is used with other Siemens PLC, PG/PC (programmer or a PC), OP (operator panel) through the MPI network communications. 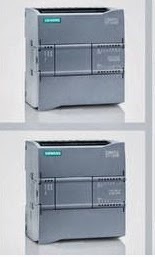 PROFIBUS-DP can be used with other Siemens PLC, PG/PC, OP and other DP master and slave communications. The power supply module L+ and m terminals DC 24V output voltage anode and cathode, respectively. Use dedicated power connector or wires connected to the power supply module and the L+ CPU module, and m terminals. This entry was posted in plc program and tagged Learn PLC programming, plc basics, PLC control system on July 13, 2016 by arco. PLC FX3U some columns may be NPN type or PNP type sensor and wiring simple. FX3U S/S on terminals, S/S by Terminal block of 24V and 0V terminals or terminal connected to leak, source input switch. By choosing you can set the basic unit of input enter input or source for the leak, but not mixed. Basic unit and input/output expansion unit you can select leakage input or source input. This entry was posted in plc program and tagged Learn PLC programming, plc, plc basics, PLC control system on June 12, 2016 by arco. Passwords can limit set PLC programming tool, display module, interface to read and write procedures, monitoring, change the current values, and so on, to protect programs or restrict the operator‘s procedures for monitoring purposes. Mitsubishi FX series PLC password set way: will PLC power, and through programming cable and computer connection, in programming software GX-DEVELOPER in the followed by select “online”–“login key word”–“new login”, in pop-up of dialogue box in the of “key word” Hou of box in the writes to set of password, set of password for 8 bit, can for 0~9 of digital or A~F of letters. Write and click “execute“, and follow the prompts to enter the same password again. Password settings are different for different protection levels of PLC, beginning of the keyword text for A,D~F,0~9 will be closed to all operations, start writing for b program will be prevented from reading and writing, rather than limit the control and change the current value, writes the letter c at the beginning of procedure of limitation, and other operations are not limited. This entry was posted in plc program and tagged Learn PLC programming, plc, plc basics, PLC control system, plc courses on June 12, 2016 by arco. In-depth understanding of process control object, features, requirements, and dividing control of all phases, summarized the various stages of, and between the various stages of transition conditions, draw the flowchart control flow chart or function. 1 choice of functions. For small PLC main I/O expansion module, a/d and d/a modules and features of the directive (such as interrupt, PID, etc). 2 I/O number to determine. Statistical control system switches, analog I/O point numbers, and consider future expansion (General plus 10%~20% spare capacity), to choose the PLC I/O points and output specifications. 3 memory estimate. User program memory required is mainly with the system‘s I/O points and control requirements, length of program structure and other factors. General estimation according to the following formula: storage capacity = switch input points x8+ points X10+ switch output analog channel number x100+ number x300+ number X2+ communications interface standby timer/counter. (3) allocation of I/O points. Distribution PLC input/output points, write input/output allocation table or input/output terminals the wiring diagram, and PLC programming, both control cabinet or console design and field construction. (4) program. For more complex control systems, according to the production requirements, draw the flowchart control flow chart or function, and then design a ladder diagram, again according to the prepared statement form the ladder program, staging and modifications to the program, up until the requirement is met. (5) the controller or console design and field construction. Designing control cabinets and work station layout and installation of electric wiring diagram; design components of the control system of the electrical interlock diagram according to drawings for field wiring and check. (6) using the integrated debugging. If the control system consists of several components, you should first make a local debugging, and make the whole debugging; more if you control the sequence, the segment can be debugged, and then dispatching and connected. (7) prepare technical documents. 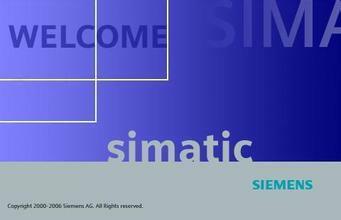 Technical papers should include: programmable controllers wiring diagram electrical engineering, electrical layout, electrical component breakdown, sequential function chart, ladder diagram with notes and descriptions. Linear programming Division of programming and structured programming (industrial mixing system). 1. When component a (b) pump when required: 1) components of a (b) inlet valve has been opened, discharging valve is open; 2) mixing bucket is not full, the mixing valve closed; 3) the pump drive motor failure, do not have an emergency stop. 2. Mixing motor working conditions: 1) the mixing tank is not empty, mixing tank discharge valve closed 2) stirring motor failure, emergency stop without action. 3. Open discharge valve condition: mixing motor stop, emergency stop without action. System of liquid level switch allows the operator understand the level of mixing drum, and provide linkage between pump and motor. Linear programming is placed in a row within a block of instructions by the user program, that is, a simple block that contains all instructions of the system. Linear programming with no branches, usually OB1 sequentially each instruction, software management capabilities are relatively simple. Distributed programming tasks into a control several separate blocks, each block is used to control a device, or a set of logical instructions, these instructions within the block run by organizing block OB called. Structure of program procedure requires the classification of similar or related functions, and tried to provide a universal solution can be used for several tasks. Provide relevant information to the instruction block (as a parameter), structured programs can reuse these common modules. FC50 function blocks for the LEDs on the control station.